The origins of the city of Avignon go back to prehistory. It is in the 6th century BC that the name Avignon appears for the first time in the writings of Artedimorus of Ephesus. Aouenion (city of the violent wind or lord of the river according to interpretations) is then a colony of the Phocaeans who landed in Marseilles and do business by going up the Rhone. Tradition relates the evangelization of Avignon to Saint Martha which would have built on the rock of the Doms an oratory dedicated to the Virgin Mary. It is clear that Christianity was established early in this city, a place of passage for traders and soldiers who criss-crossed the Mediterranean. The first bishop of Avignon, of whom we have certain historical traces, is Nectarius (439). fame of the city. Seven authentic popes will reside in the episcopal palace, then in the palace of the popes completed by Clement VI in the middle of the XIVth century. Architecture, painting, music, intellectual and cultural life will largely benefit from this passing of the popes in Avignon. The most renowned artists of the period put their talents at the service of the pontiffs. 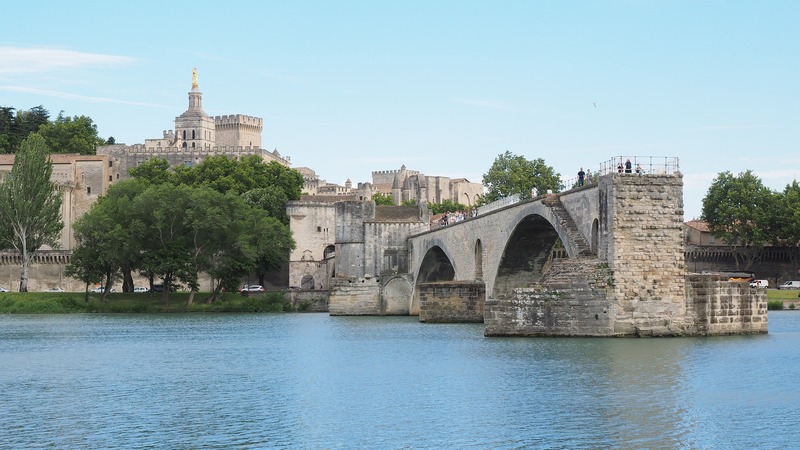 Even today, the cultural heritage of the presence of popes in Avignon attracts tourists throughout the year. This is evidenced by the Palace of the Popes, classified as a patrimony of UNESCO, which receives more than half a million visitors a year. This high historical place of Christianity is the framework in which the project of construction of the Redemptoris Mater diocesan seminary fits. Located at about ten minutes from the historical heart of Avignon, this building has not only a cultural vocation, it wants to enter the heritage of the city as much by its aesthetic as a place of reception and cultural confluences.